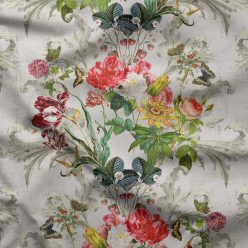 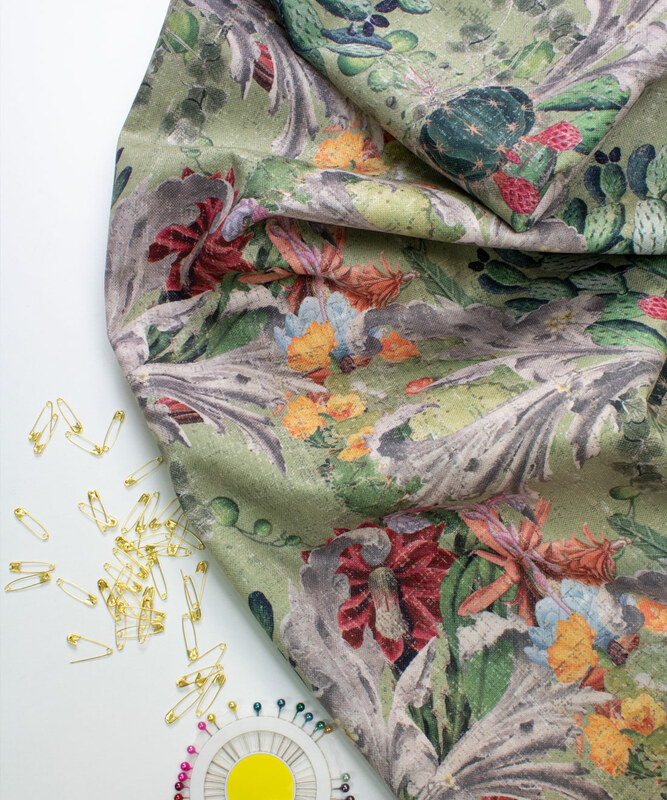 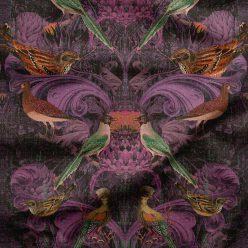 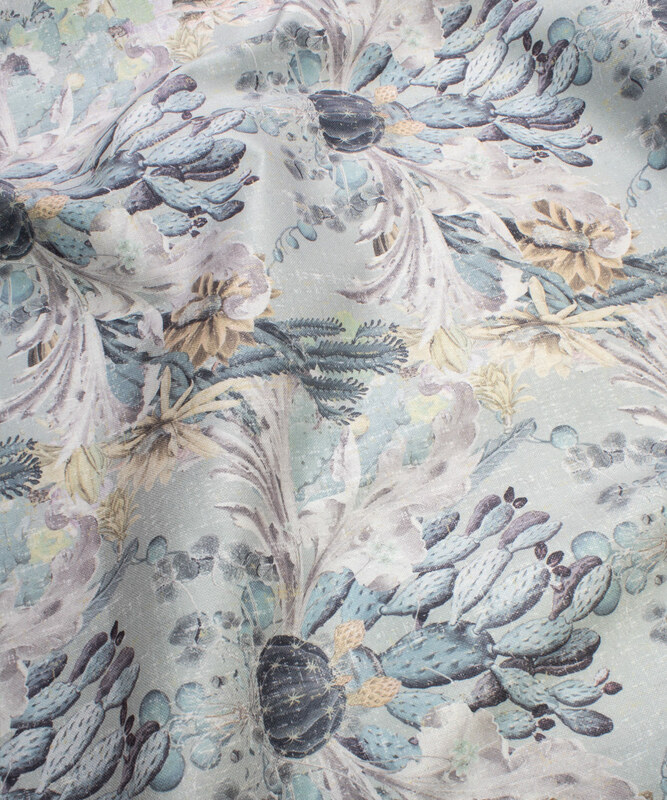 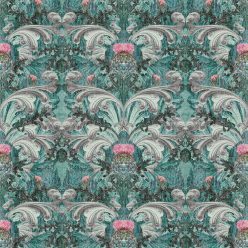 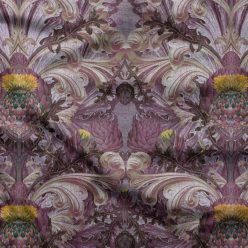 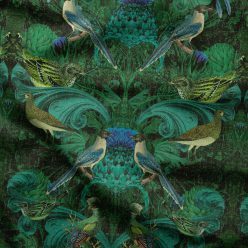 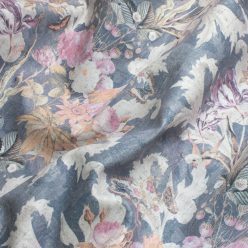 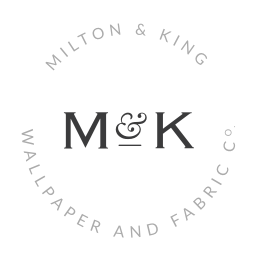 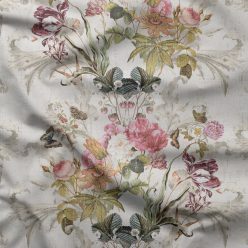 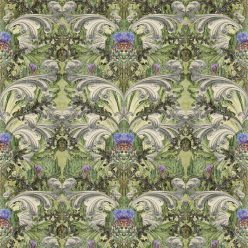 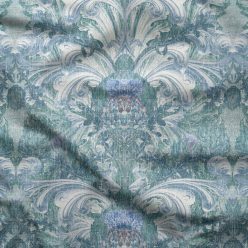 Originally inspired by 1950’s printed linoleum, this design combines baroque lyricism with a floral motif. 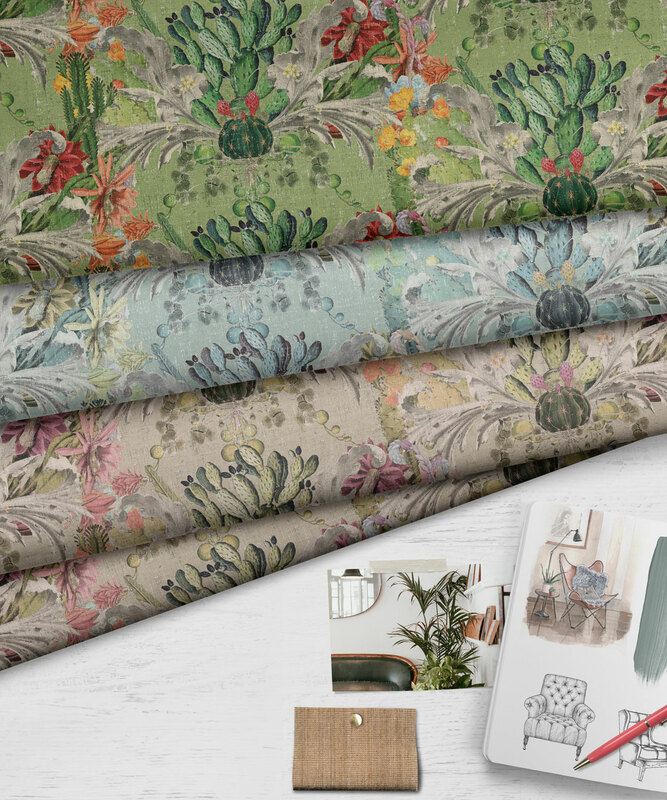  It is a coming together of different influences and eras, making it truly eclectic. 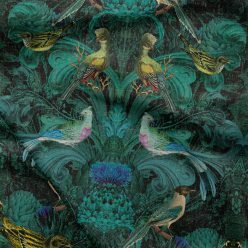 Combining the romance of exotic lands and travel to places far away. 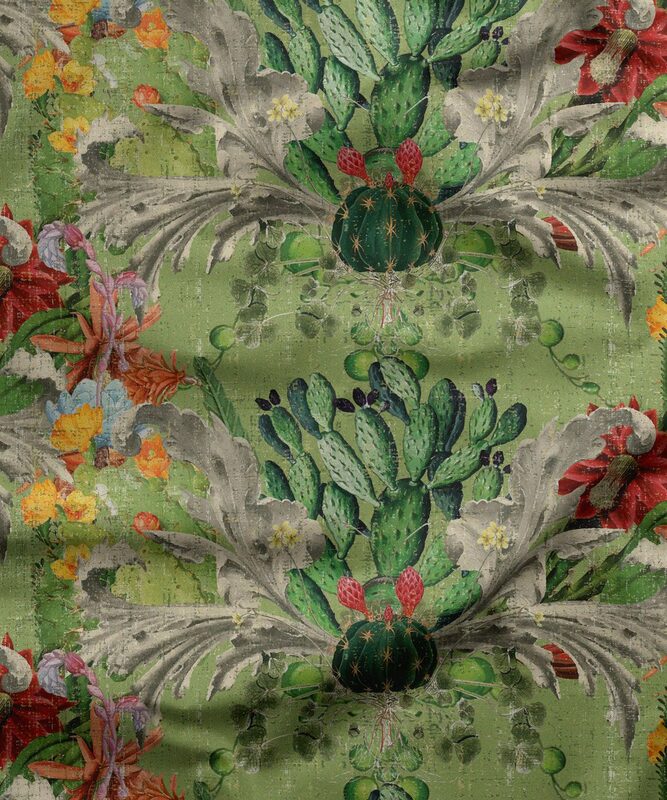 The cactus flower symbolizes warmth, protection, endurance and strength, not to mention great beauty. 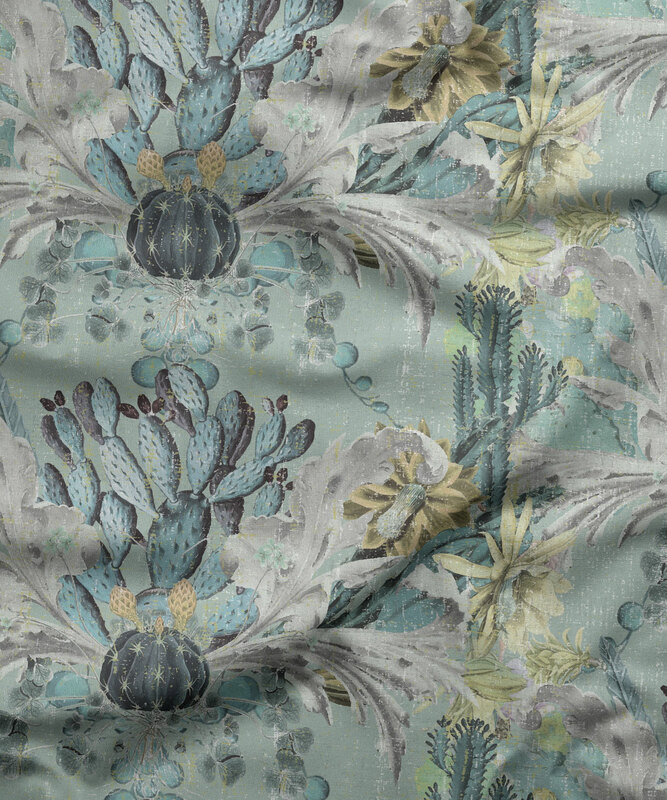 Cactus flower colours range from white through yellow and red to magenta. 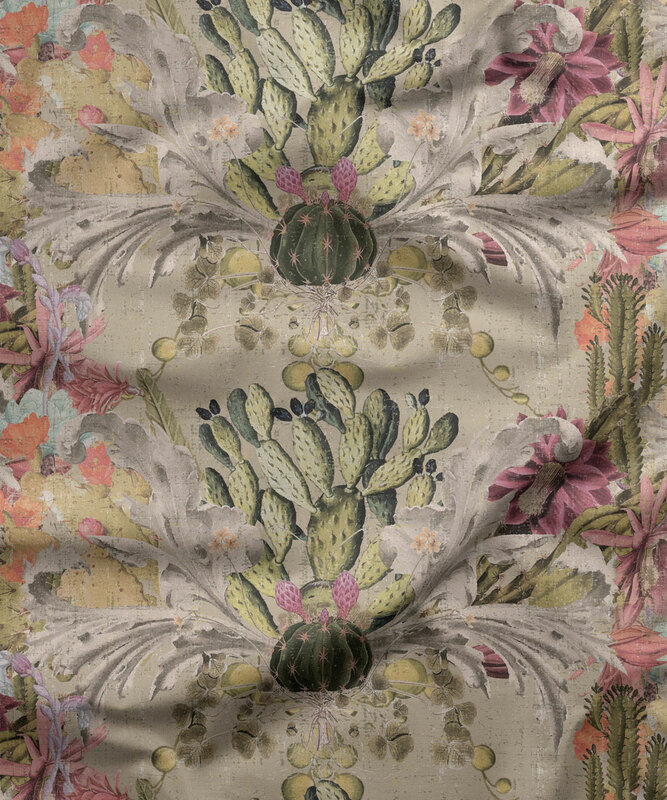 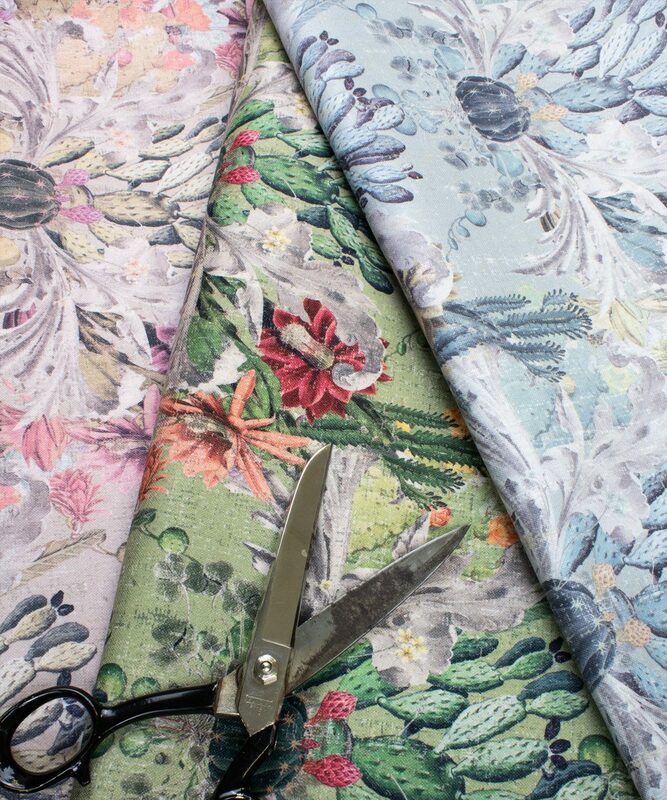 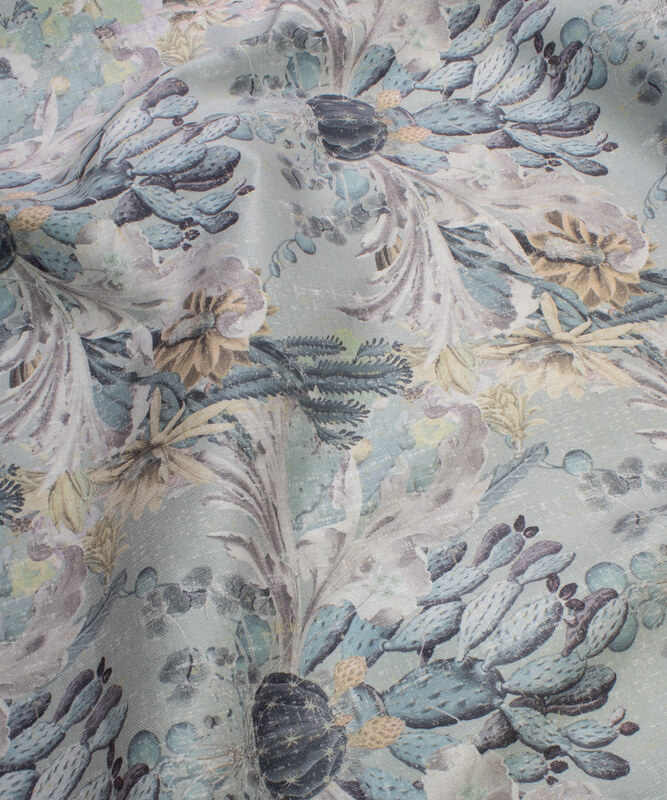 A beautiful cactus fabric for home decor.